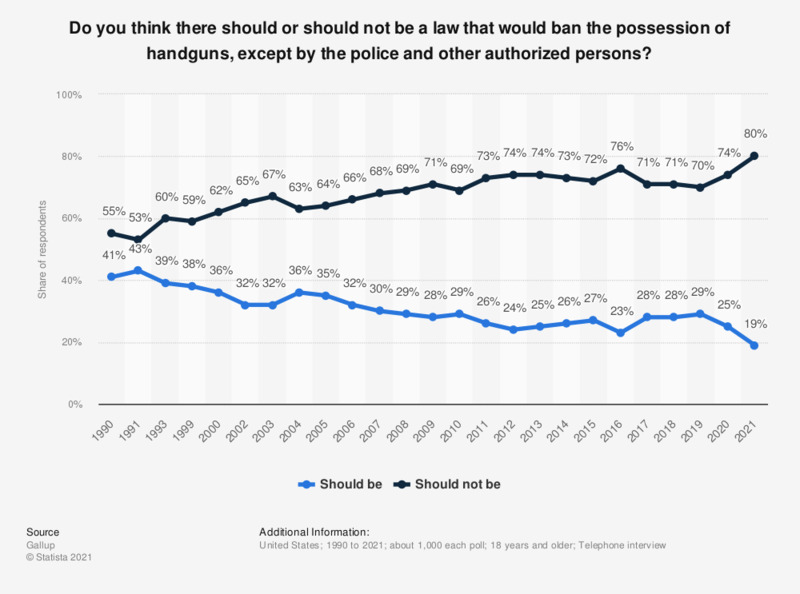 This statistic shows the opinion of Americans on whether there should or should not be a law that would ban the possession of handguns, except by the police and other authorized persons. The survey was conducted from 1990 to 2018. In 1990, about 41 percent of surveyed Americans felt that there should be a law that would ban the private possession of handguns. In 2018, only 28 percent felt the same way. To what extent do you agree that it is important to have a law that protects Human Rights in Spain?